When we see a tree that is absolutely gorgeous and extremely hardy but generally unknown, we like to give it the attention it deserves. Southern Living’s The Grumpy Gardener refers to it as “The best native tree nobody grows,” and the Missouri Botanical Garden names it a “Plant of Merit, selected for its outstanding quality and dependable performance for the lower Midwest.” This beautiful, springtime snow-white flowering tree is known as the Fringe Tree ‘chionanthus virginicus’ for its fringe-like petals. So why is it underplanted? It is simply lesser known than the more popular flowering trees for the area like the Dogwood or Cherry. The Grumpy Gardener, however, thinks it beats the old standards all around, “It’s tougher than dogwood, more dependable than saucer magnolia, longer-lived than cherry, and smells better than stinky Bradford. And it’s beautiful.” We happen to agree. Fringe Trees are native to our area, so you might find them growing on their own on hillsides or bluffs near rivers or streams. 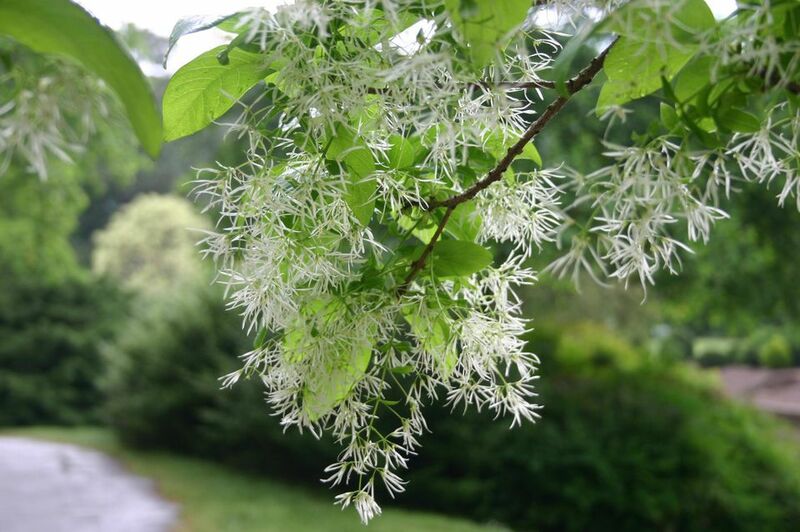 You can also purchase a Fringe Tree at your local, independent garden center such as ours. You’ll need a full to part sun area with well-drained soil big enough to support its 12’x12′ footprint at a minimum; 20’x20′ is ideal. 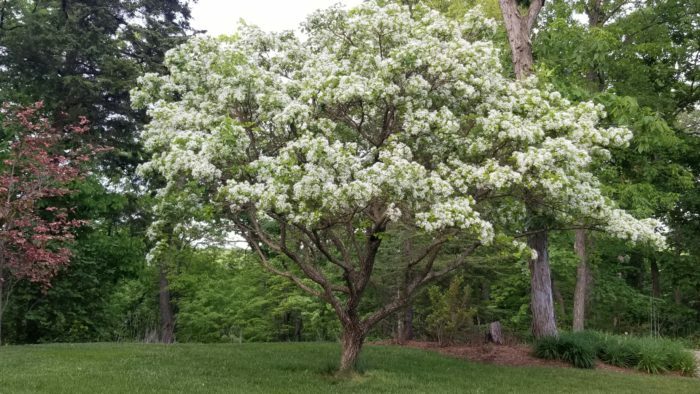 To learn more about the Fringe Tree and find out if it is the perfect addition to your outdoor space, stop in and see us.